The 23rd Annual Celebrate Kids! 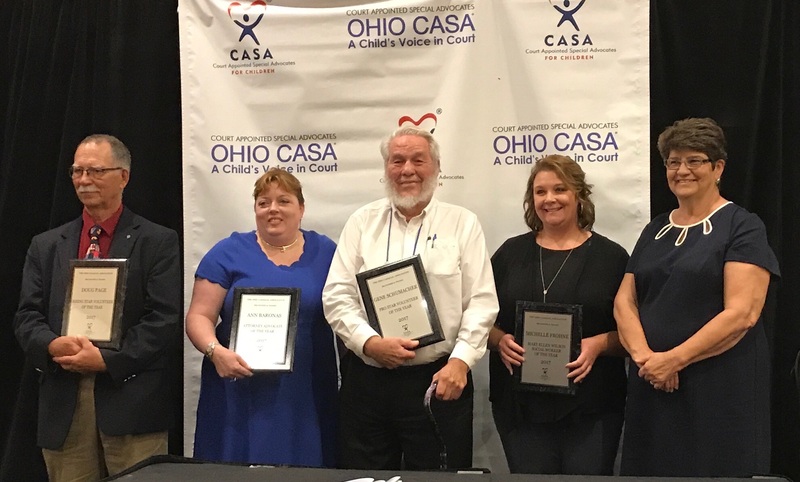 Conference came to a close Friday, ending with an emotional tribute to Ohio CASA’s annual award winners. “I’m in my second term and I can’t wait until it’s over, because I want because I want to be a CASA worker myself,” she said. The senator spoke about the challenges facing Ohio, including the opioid epidemic and the effects of poverty on the educational performance of children. She will soon introduce legislation requiring school districts to provide training to instructors on trauma-informed education and cultural competence, Senator Lehner said. 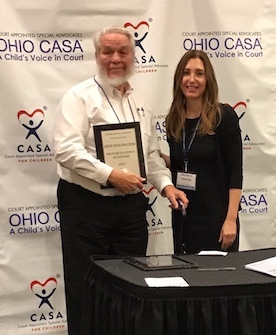 PICTURED ABOVE: Gene Schumacher and Ohio CASA Board of Directors President Diana Turoff.